We collect your name and email when you sign up for any of our free or paid offerings including applications, social networks, mailing lists, events, eBooks, webinars, case studies, guides and other online documents. 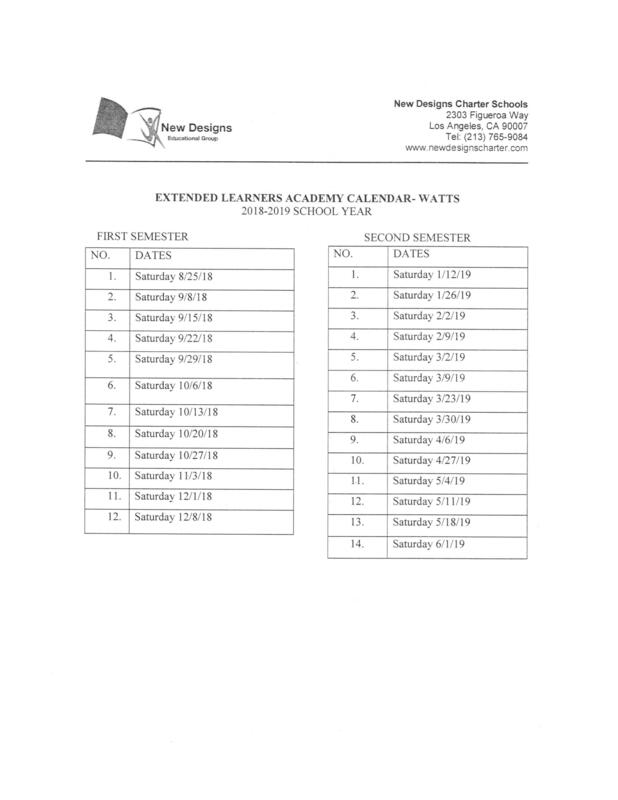 We collect your name, email, address, and phone number when you subscribe, apply to a school or sign up to be on an event list or mailing list with any of the New Designs Charter Schools. We collect non-identifiable personal information using “cookies.” A cookie is a small data file that a website can transfer to your hard drive through your browser. The cookie is then stored on your computer as an anonymous tag that identifies your computer, but not you. You can set your browser to notify you if cookies are received, or set up your browser to not accept cookies. If you set your browser to block cookies, it may interfere with your ability to use our website to schedule appointments. We may collect some other personally identifying information about your use of our website in a non-identifiable format and combine it with other non-identifiable information, to be analyzed only at an aggregate level for marketing purposes. You can unsubscribe to any email by clicking on a link at the bottom of the email. If you unsubscribe to emails when you are a member of New Designs Charter Schools, it will make it difficult for you to receive pertinent information regarding school activities, policies and news. You can access all your personally identifiable information that we collect online and maintain by emailing info@newdesignscharter.net. You can correct factual errors in your personally identifiable information by sending us a request that credibly shows error. To protect your privacy and security, we will also take reasonable steps to verify your identity before granting access or making corrections. Our data retention policy is that you have control over us deleting your data; in other words, we will keep your data until you tell us to delete it. 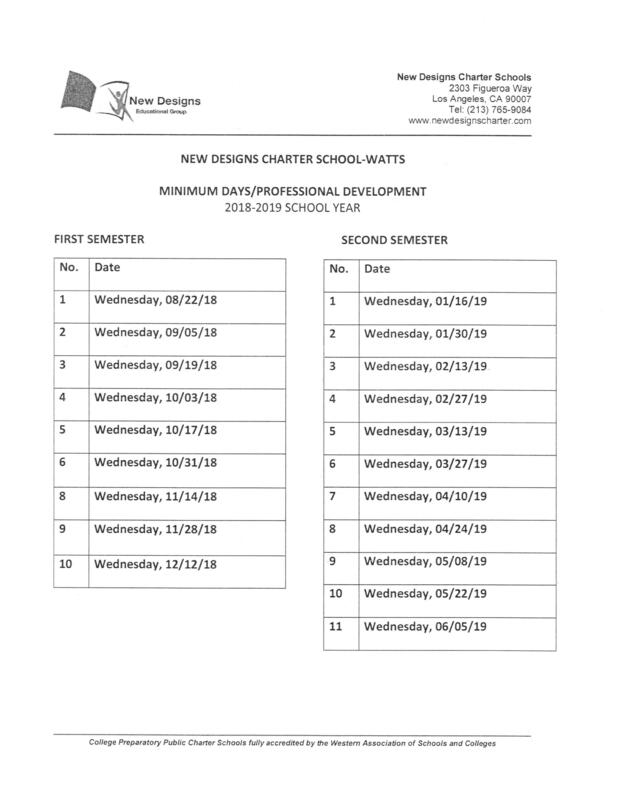 All information gathered on behalf of New Designs Charter Schools is kept strictly confidential and is not sold or rented to any other company without notice to you. Information provided will be used solely to determine and send appropriate information about services or products. New Designs Charter Schools is located in the United States and any data you submit will be transferred to the United States. When you purchase from New Designs Charter Schools with credit card via the web, we protect and secure this information by employing commercially customary web-based security and encryption protocols, examples of which include Secure Socket Layer (SSL) and Secure Electronic Transaction (SET).To better protect your privacy, we provide this notice explaining our online information practices and the choices you can make about the way your information is collected and used. To make this notice easy to find, we make it available on our home page and on every page where personally identifiable information is requested. We may use the following third parties to help us provide services to you: ActiveCampaign, Zoom, Infusionsoft, LeadPages, Wishlist, Demio, Zapier, GoToWebinar, hubspot, mailchimp, and constantcontact. These third parties we may use to host your data will keep your data confidential according to their own Privacy Policies. Information Regarding ChildrenThis website is not directed to people who are under 13 years of age. We do not collect any information from anyone under 13 years of age. Please notify us at info@newdesignscharter.com if you are a parent whose child has provided us with personally identifying information, and we will delete such information from our files. California Residents Privacy RightsIf you are a California resident, under “Shine the Light law” (Cal Civ Code Section 1798.83) you can request the disclosure of certain personal information that we have disclosed to third parties for marketing purposes in the last year. To make a request, contact us at info@newdesignscharter.net.